A Cooling tower biocide is used to kill harmful algae and bacteria and eliminate limescale that eventually leads to corrosion. The problem with cooling tower biocide is that it is comprised of chemicals and requires the expense of staff to maintain. 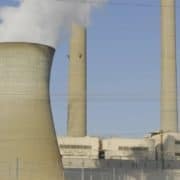 The costs of cooling tower biocide adds up over time, and, depending on the chemicals used, could actually be harmful to humans and the environment. The ScaleBlaster electronic water descaler not only controls algae, bacteria and limescale, but it is also effective in pipe scale removal. Best of all, it requires NO chemicals and little maintenance. An electronic descaler is easy to install and does not come into contact with the water. It works by emitting sonic waves which naturally elevates and stabilizes the PH of the circulating water. Once the PH is stabilized, existing limescale is removed and the corrosive properties of the water is significantly reduced. In a nutshell, the ScaleBlaster electronic water descaler operates using sonic waves. A cooling tower biocide, on the other hand, adds chemicals to the water. An electronic descaler raises the PH balance of the water, which increases cycles of concentration, thus saving water and reducing utility costs. Best of all, it is a one-time investment vs. cooling tower biocide which needs to be purchased on a regular basis to effectively control algae and bacteria. Are you seeking to save money and/or reduce downtime and maintenance? 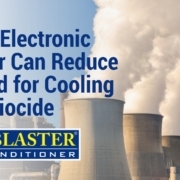 If so, consider the ScaleBlaster industrial electronic water descaler as an alternative to cooling tower biocide. Our industrial specialists stand ready to help!! Clearwater Enviro Technologies offers specialized services for commercial and industrial cooling towers. Our nearly 30 years in the industry has provided us with the experience and expertise to develop systems designed to provide the best cooling tower water treatment options on the market. Quality water that is free from organic and inorganic contaminants is essential for the optimal performance, efficiency and life cycle of any cooling system. The calcium hardness level of the water can significantly impact the overall function. An electronic descaling system such as ScaleBlaster eliminates and controls lime scale, resulting in less corrosion, damage and downtime to repair and/or replace components. The water hardness scale plays a significant role in water quality. High calcium hardness levels mean that more impurities remain as pure water is evaporated. ScaleBlaster uses an oscillating electronic field to change the shape of the calcium molecules in the water and causing it to lose its ability to stick. This approach is highly effective at eliminating the risk of lime scale build up in the cooling tubes and on the heat exchange components. Corrosion can wreak havoc on the pipes and internal cooling tower systems. ScaleBlaster helps reduces the corrosive properties of the water while removing existing lime scale. Algae and bacteria are very problematic. Controlling them is an important part of a cooling tower water treatment plan. ScaleBlaster is extremely effective in controlling algae and bacteria. Learn more about our industrial ScaleBlaster models. Power generation plants rely on cooling towers, which require ongoing maintenance to remain effective. Installing an electronic water descaler for cooling tower water treatment reduces the need for cooling tower biocide and other harmful chemicals which degrade the overall integrity of the structure and its systems. The water hardness scale plays a large part because cooling towers are designed to allow the “pure” water to evaporate while impurities remain. The higher the water hardness scale, the more scale that is left behind. This eventually leads to corrosion and other major problems. You may find this water hardness chart and water hardness map helpful in determining the hardness of the water in your area. ScaleBlaster is an electronic water descaler that effectively works as a cooling tower water treatment system by eliminating existing limescale and prevents new limescale from forming. ScaleBlaster sends electromagnetic waves through the water pipe which change the properties of calcium molecules, thus preventing them from sticking to the inside walls. ScaleBlaster controls lime scale deposits on tower fill, sump tank, spray headers, valves, pumps and pipes. ScaleBlaster controls lime scale deposits on heat exchange surfaces. ScaleBlaster controls lime scale deposits on boiler fire tubes, condensation tank, pumps, pipes, and valves. ScaleBlaster controls lime scale deposits on cooling surfaces. ScaleBlaster controls lime scale deposits in tanks, pumps, pipes, valves and sensors. Our industrial dealers can help you determine which ScaleBlaster model is best for you. They can also guide you in determining your calcium hardness level. Considering Cooling Tower Limescale Removal? Cooling towers experience limescale buildup because as water is re-used, pure water evaporates leaving behind impurities. Limescale removal is important because the buildup can result in less efficiency and eventually corrosion. Cooling tower biocides are commonly used to help combat limescale and other problems that result. However, these are very costly and use harmful chemicals which are not eco-friendly. Ideally, you need a limescale removal system that is environmentally friendly. An electronic water conditioner operates using oscillating electronic fields that change the charge, size and shape of the calcium molecule. The surface tension of the water is decreased, which removes existing scale and prevents new limescale from forming. Your cooling tower already requires ongoing maintenance. Why add to the list? A water conditioning system such as ScaleBlaster is easy to install and requires no regular check-ups. The cooling tower is an important part of your infrastructure. Don’t let the pipes corrode or lessen the efficiency of your system. ScaleBlaster electronic water conditioner is an inexpensive option to help prevent the costly effects of limescale buildup. 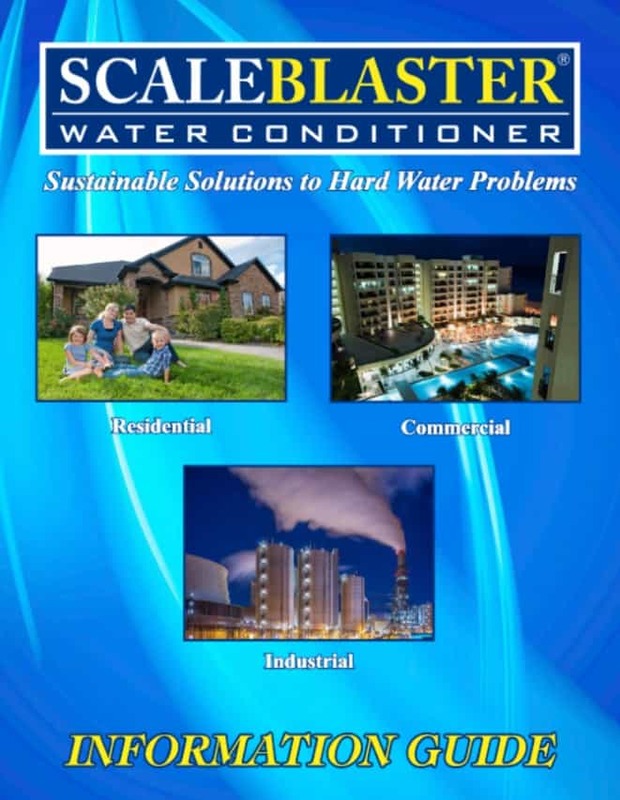 We have authorized dealers throughout the United States and internationally who are well-versed in helping companies determine the best ScaleBlaster water conditioner model to fit their needs. https://www.scaleblaster.com/wp-content/uploads/2014/10/Cooling-Tower-Limescale-Removal.jpg 1080 1808 ScaleBlaster /wp-content/uploads/2016/08/ScaleBlaster-LOGO.png ScaleBlaster2017-08-31 11:05:522017-09-09 08:34:02Considering Cooling Tower Limescale Removal? Industrial equipment relies on cooling systems to ensure proper temperatures are maintained. However, when hard water scale builds up, it can hinder proper functioning of the system. An electronic water conditioner system can prevent hard water damage. A water conditioner is a form of hard water treatment in that it prevents hard water damage by sending an inaudible signal through the pipe which causes turbulence in the water molecules and ion exchange in mineral atoms. Crystals are unable to adhere to any surface; thus hard scale cannot form. As a result, existing scale not only goes away, it never returns again. Since most cooling systems use water as the main coolant, a water conditioner is important for limescale removal and prevention. Electronic water conditioner systems are effective when it comes to limescale removal and are used in industrial applications to prevent the degradation of expensive cooling systems. Cooling towers also rely on industrial water conditioner systems for limescale removal and prevention. 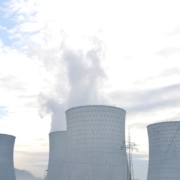 Cooling towers re-use water, causing pure water to be evaporated. As a result, many impurities, including limescale, remain. A water conditioner stabilizes the PH of the circulating water, thus preventing corrosion, controlling algae and bacteria and removing existing limescale. When you consider the cost of damage that can occur to cooling systems and cooling towers, a water conditioner is an inexpensive option. The ScaleBlaster water conditioning system is a respected and proven limescale remover for industrial applications. Best of all, it also preserves the integrity of your equipment by preventing new scale from forming. Contact one of ScaleBlaster’s industrial dealers / specialists to learn more. We work with industries throughout the United States and abroad. Cooling towers are designed to reuse water. During this process, the “pure” water is evaporated, while the impurities remain. These impurities cause numerous problems, including high levels of lime scale, which eventually leads to corrosion. A cooling tower biocide is used to combat these issues. Chemical treatment for cooling towers is determined by the calcium and PH levels of the water and may be in the form of either an oxidizer biocide or non-oxidizer biocide. An oxidizer cooling tower biocide is usually comprised of sodium bromide or sodium hypochlorite and is generally used on a daily basis. A non-oxidizer cooling tower biocide (i.e. glutaraldehyde) is used as needed. 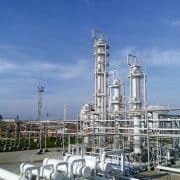 The cost of the chemical treatment of cooling towers can add up, especially when you figure in expenses such as the chemicals themselves and maintenance staff. This is where an electronic water decaler / electronic water conditioner, such as ScaleBlaster, comes into play. ScaleBlaster uses no chemicals and requires no maintenance. It is easy to install and never comes into contact with the water. An electronic water conditioner emits sonic waves and allows the PH of the circulating water to naturally elevate and stabilize. The corrosive properties of the water are reduced and existing lime scale is removed. ScaleBlaster also controls algae and bacteria. A one-time investment in a ScaleBlaster industrial unit can save you thousands of dollars a year on chemicals, repairs and ongoing maintenance. Power plants around the world, including in the United States, China and Mexico, are turning to ScaleBlaster. Visit our Dealers page to find a ScaleBlaster representative near you. Commercial and industrial clients may be different in many aspects, but they do have at least one thing in common – the need for aggressive hard water treatment. Many companies are choosing ScaleBlaster because it is one of the most advanced and effective hard water descaler systems on the market. In fact, the benefits of electronic water conditioners are so incredible, more and more companies are abandoning commercial water softeners. 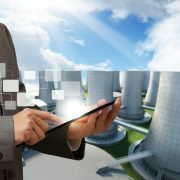 Chemical water treatment for cooling towers is even becoming obsolete. Acts as a hard water descaler system which ultimately extends the life of appliances, pipes and equipment. Contact us or one of our worldwide dealers to find out more about how the ScaleBlaster electronic water descaler can benefit your company and save you money. Cooling tower chemistry naturally results in large amounts of algae. This produces very high levels of limescale, which eventually leads to costly repairs and corrosion. Cooling tower biocide can be used to help alleviate this problem. However, cooling tower biocides generally use harsh and potentially hazardous chemicals and require a lot of manpower and labor. 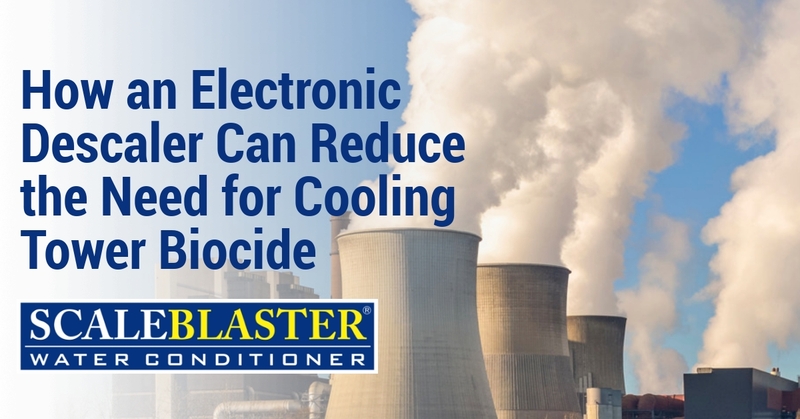 An electronic water conditioner such as ScaleBlaster can significantly reduce the need or amount of cooling tower biocide required to prevent limescale and corrosion. Let’s examine how ScaleBlaster is an effective water conditioning solution and hard water treatment system for cooling towers. First, it is very easy to install on the incoming water line. A signal cable is wrapped around the pipe (it never comes into contact with the water). This allows for a natural and gentle elevation of the PH of the recirculating water by increasing the cycle of concentration. The result? The water becomes much less corrosive, existing limescale is removed and algae and bacteria are controlled. ScaleBlaster also works to ensure scale forming ions do not adhere to one another, thus preserving the integrity of pipes, tubes, heat transfer surfaces, walls, jets, etc. Cooling tower chemistry will naturally result in algae, limescale buildup and other issues. If you are looking for a maintenance free, cost effective alternative to cooling tower biocide, ScaleBlaster can provide an excellent cooling tower water treatment for your industrial plant. An electronic water descaler will save you lots of time, labor, money and headaches in the long run. Contact ScaleBlaster today – we are here to help! For commercial and industrial HVAC companies, working with top quality, professional and experienced cooling tower water treatment companies is an important partnership to consider. By working with the best companies, you have the support, expertise and the professional know-how you need to maintain the quality and efficiency of the cooling tower. This, in turn, provides your customers with a dependable, efficient and effective HVAC system for a small or large company, plant, manufacturing facility or business. Not all cooling tower water treatment companies are the same. Shopping around and finding the right company to get the job done and provides support making suggestions to optimize the system will be essential. To find the right company, consider these important factors. In this industry, as in most service industries, top performing companies have a proven record in the industry. Look at the length of time that the company has been in business. At Clear Water, we have been in business since 1989. Through the years, we have grown, and we developed both MineralPURE and then ScaleBlaster, both which offered groundbreaking technologies and environmentally friendly options for water treatment in residential, commercial and industrial applications. 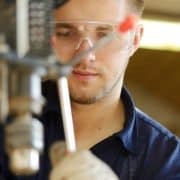 With years of experience in working with companies in various industries, we have the experience needed to get the job done. We currently have over 600 retailers of our systems, and our dealers can be found in 70 different countries around the world, including in all states across the United States and across Canada. At Clear Water, we are proud of the services we have provided to our customers. We offer a full section on our website of case studies of the businesses, groups, organization and entities we have provided solutions for dealing with hard water treatment. We don’t black out names or just give you a hint of the company; you can read the complete details of the project as well as comments from our customers. We are also happy to provide more information and references to help you to determine if we are the right match for your water treatment needs. Unlike some cooling tower water treatment companies, we have a focus on providing environmentally friendly solutions to very complex problems. We also understand the importance of water conservation, and we strive to create solutions for cooling tower systems that will work both for your needs as well as for the world around us. Hard water can be severely damaging to cooling towers and other industrial water system units. The limescale buildup is corrosive to pipes and is a breeding ground for algae and bacteria. The professionals here at ScaleBlaster have spent years developing a system to protect industrial water systems from the harmful effects of hard water and limescale deposits. Our revolutionary system is uniquely designed for industrial use and provides water treatment that does not require salt or other harsh chemicals. We’re confident our product can improve water quality and decrease corrosion in all industrial water systems. A biocide is defined as a chemical substance or microorganism designed to destroy or control a harmful organism using biological or chemical means. For example, a cooling tower biocide is designed to destroy the algae, bacteria, and fungi that can thrive in the water supply. These bacteria and other organisms can form a layer of bio-slime that acts as the foundation for limescale. The limescale buildup, in turn, reduces energy efficiency, increases the frequency of maintenance shutdowns, and increases water usage. We’re proud to say that ScaleBlaster is highly effective at eliminating and preventing limescale without using the harsh chemicals present in traditional cooling tower biocide systems. Instead, our device uses an electric field with a complex waveform. This wave oscillates between several frequencies over a large range and disrupts the molecular structure of the elements that cause limescale. Our device cleans exiting buildup and prevents it from returning. We’ve designed our unit to specifically address the needs of industrial water systems. There are several advantages to choosing our product over a chemical cooling tower biocide. Because our method employs an electric field, it doesn’t add anything to the water supply. Our system eliminates the need to add salt or other hard chemicals to the water. The device also encourages increased cycles of concentration, which raises the pH balance of the water and renders it less corrosive to pipes and other plumbing elements. Raising the cycles of concentration also saves a large amount of water, reducing utility costs. ScaleBlaster decreases the corrosive elements in the water and this greatly extends the operating life of equipment. We also designed it to be environmentally friendly. Our product doesn’t add chemical substances into the water supply and also prevents the water waste that is required in traditional treatments. It reduces the equipment’s energy usage. Limescale buildup in pipes drastically decreases energy efficiency; even a quarter inch of buildup can increase energy consumption by up to 40%. Preventing the limescale deposits from forming dramatically improves energy efficiency, which is another aspect of environmental responsibility.